For the first time in its history, the Dakar Rally has visited Paraguay. Its 2017 edition launched from the capital Asuncion for a sole and single stage with a 39 km special. 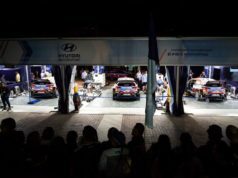 Paraguay became the 29th country to welcome the Dakar, boasting a superb setting with lush jungle-like vegetation favoured by a tropical climate. 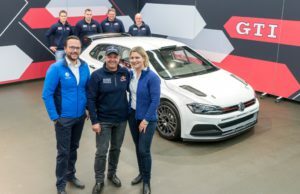 This makes for a technically tricky route and trial-like tracks which in particular enabled Xavier Pons, 2nd in the car category, to express his skill in handling his vehicle. The performance of the day belonged to Xavier de Soultrait. After withdrawing in 2016, he quite simply grabbed his first special stage victory ahead of two other outsiders, Juan Pedrero (Sherco) and Ricky Brabec (Honda). However, the Frenchman exceeded the speed limit on the link stage and is likely to receive a penalty which will put Pedrero at the top of the general standings. Michael Metge completed the day’s Top 4, while Joan Barreda grabbed the 7th best time despite a problem in a ford. In the car category, Nasser Al-Attiyah finished his first stage behind the wheel of a Toyota with a victory. He literally played with fire, however, as flames started to lick around his Hilux a short way from the finishing line. Al Attiyah offered Toyota its 5th stage victory in the history of the Dakar and the third since the arrival of the Hiluxes after the special won in 2013 by Giniel de Villiers and another in 2015 by Yazeed Al Rajhi. The leading Peugeot, driven by Carlos Sainz, took fourth place with Sébastien Loeb in sixth. Stage 1 delivered. / La etapa 1 cumplió expectativas.